This isn't just any adapter. The Redrock Micro LiveLens MFT is the first active lens mount to allow Canon EF lenses to be used with any micro four-thirds camera body. 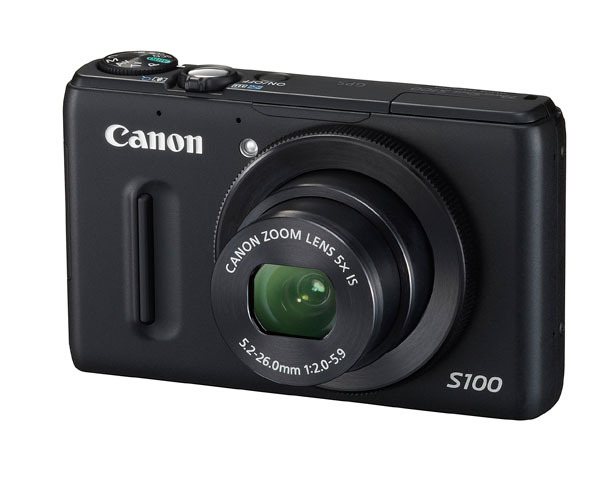 It provides the power and electronics to control Canon EF lenses when attached to these cameras, such as the Olympus PEN or Panasonic G series. 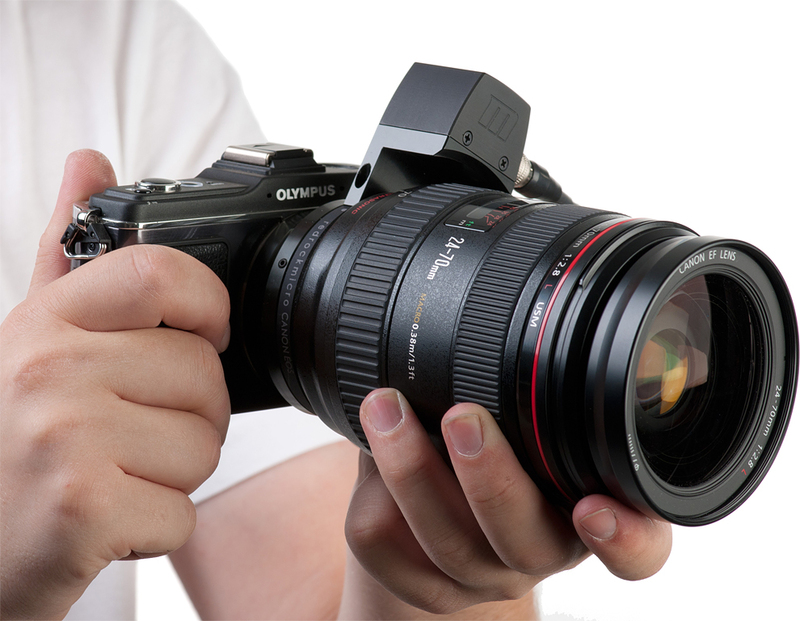 With the LiveLens MFT's control touchpad, the EF lens' aperture can be opened and closed in increments as small as 1/3 stop. The LiveLens MFT works with virtually every EF lens available today. The active lens mount is available in the Redrock Micro store for $442.50. If you have lots of Canon glass and shoot micro 4/3, this could be interesting. For Whom Is the Nikon 1 Built? 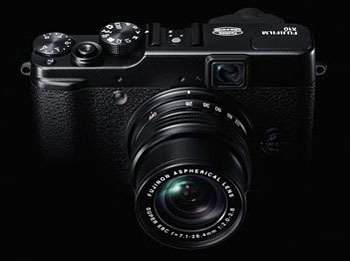 I've been thinking about the Nikon 1 and trying to figure out why there isn't an APS-C sensor in that handsome body. Instead, as you probably know by now, Nikon designed a 1" sensor that's smaller than micro 4/3, but bigger than a compact. Some speculate that they did this to protect their DSLR business. Really? I guess Sony didn't get that memo when they designed the NEX series, which features a 1.5X APS-C sized 14.2 MP CMOS sensor. 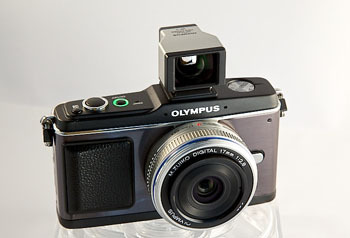 Nor did Olympus when they put the same sized sensor in their PEN series as they have in their DSLRs. Both companies, along with Panasonic and Samsung, might be feeling like they've dodged a bullet. 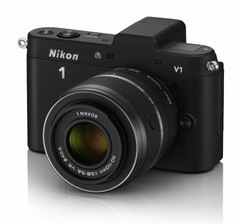 So, for whom is the Nikon 1 built? I doubt that they will lure away any NEX shooters. 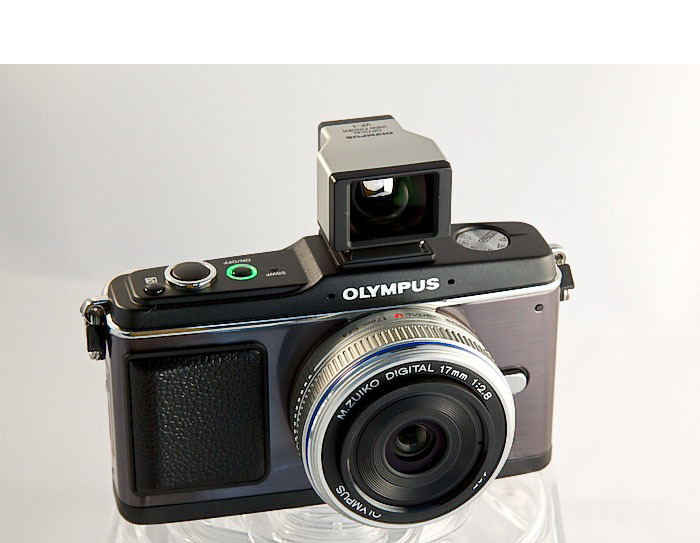 Olympus might be vulnerable up the road if they don't update their technology. Those who already love Nikon are most likely to embrace this system. Canon is going to announce something big in November, so its brand loyalists will probably sit tight for the moment. Here's the thing from my point of view... if I'm coming to the game this late, then I would want to pull out all of the stops and leverage as much fantastic Nikon technology as possible to go after Sony. In my mind, the Nikon 1 doesn't do that. It feels like a camera designed by committee. And I really don't know who it's for. One of the biggest frustrations I see when people begin to take control of organizing photos on their computers, is what to do with all of those files from years past. I hear stories of photographers immediately adding thousands of images to their brand new workflow, only to have it smothered in the avalanche. As you may have guessed, I have ideas on how to make the transition from disheveled to meticulous. And I share them in this movie. Keeping track of your work is a focus of my latest title on lynda.com, Organizing and Archiving Digital Photos. I show you techniques for Lightroom, Aperture, iPhoto, and even roll-your-own. By spending a little time with these movies, you should be able to tighten up your photo management workflow. I had heard conflicting reports about this tripod, so I decided to put it to the test. 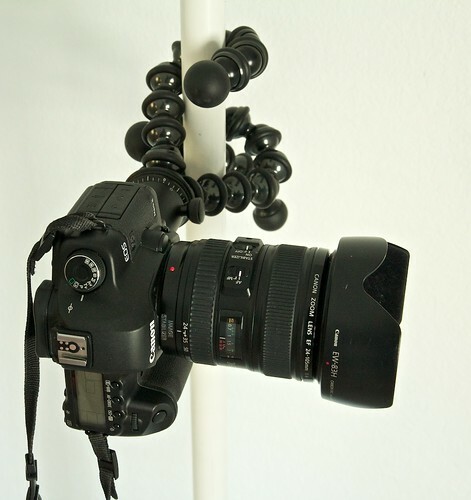 I mounted a Canon 5D Mark II with 24-105mm L f/4 zoom on the GorillaPod. To make it interesting, I composed a vertical shot. No problems there. So I wrapped the legs around a 1" PVC pipe, then composed vertically. Still no problems. 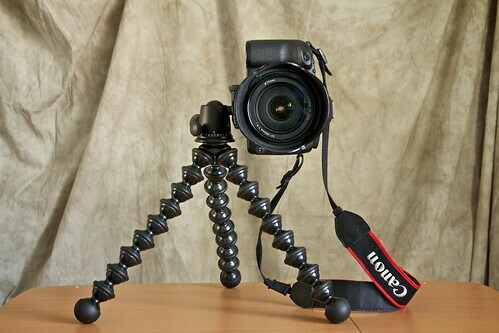 So, with an everyday rig, I think the GorillaPod Focus will hold up. Will it hold a 300mm f/4 lens? Probably not. I wouldn't even try. 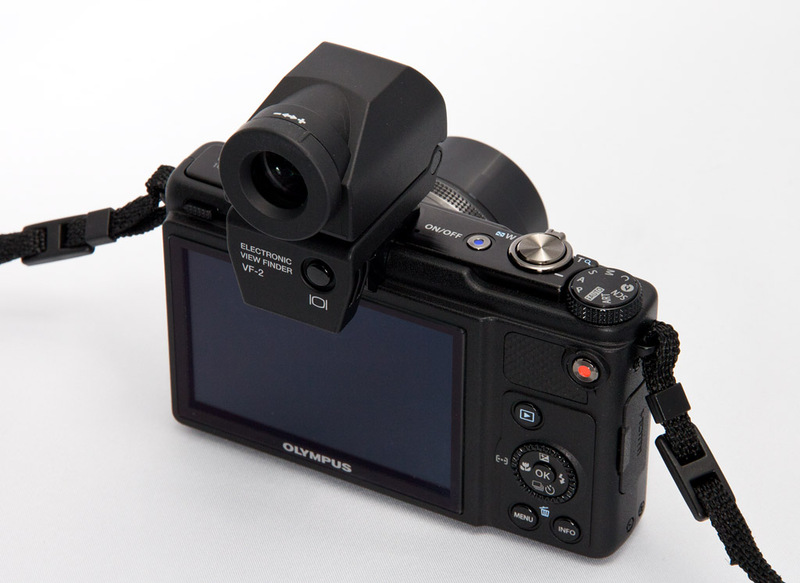 The ballhead itself has both pan and tilt controls. The pan is particularly handy when shooting video or composing panoramas. The action is remarkably smooth. The quick release plate is easy to operate and made of quality materials. The legs are about 11" tall, and they don't extend. Instead, if you need more height, your find something to wrap them around -- a tree branch, sign pole, etc. 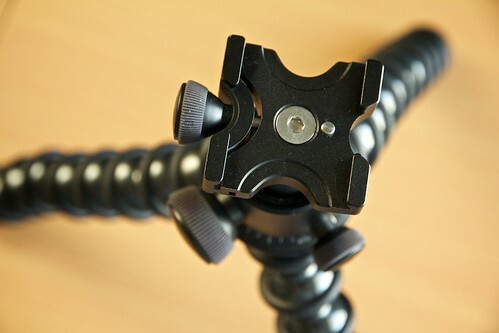 Or you can find a surface to set the GorillaPod on, such as a rock, picnic bench, or newspaper machine. In return, you get a lightweight package that's easy to pack in, or on, your camera bag. 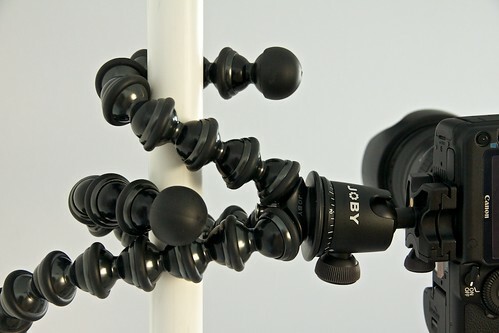 The GorillaPod Focus plus Ballhead X isn't cheap. It will run you about $115 US. But if you find yourself without a tripod way too often, and you don't photograph African game, then the price might be worth the images you're suddenly able to capture. 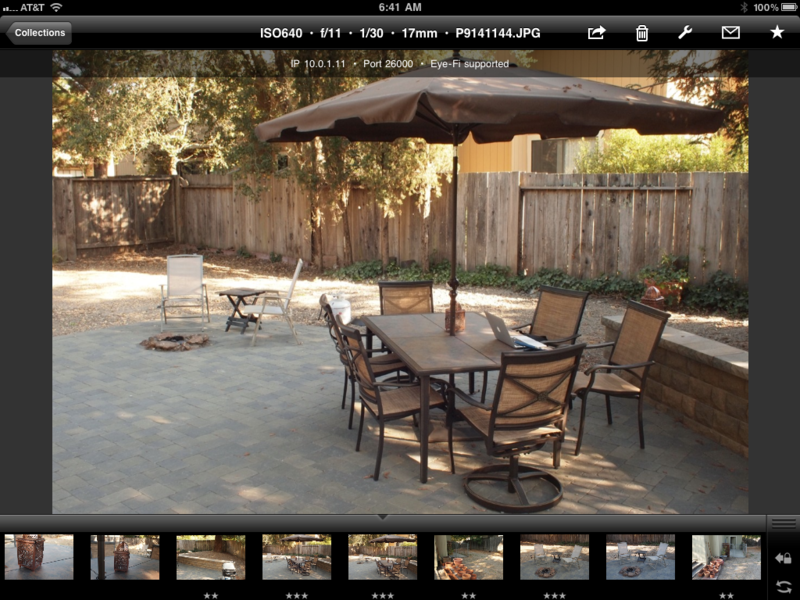 Filterstorm Pro strives to solve a number of problems for the nimble photographer working on an iPad or iPad 2. It provides a true library environment, complete with star ratings so you can organize your shoot. It handles Raw files with relative ease, even on the original iPad. And there's IPTC support and batch processing -- overall, a step forward in many areas for photo management on a tablet device. Connected memory card to iPad using Camera Connection Kit. Opened thumbnails the Photos app - I imported 5 Raw files. Swiched to FilterStorm and choose Import iPad Photos. Imported the selected album that had all 5 images. Browsed the images in the Filterstrom library and rated them. 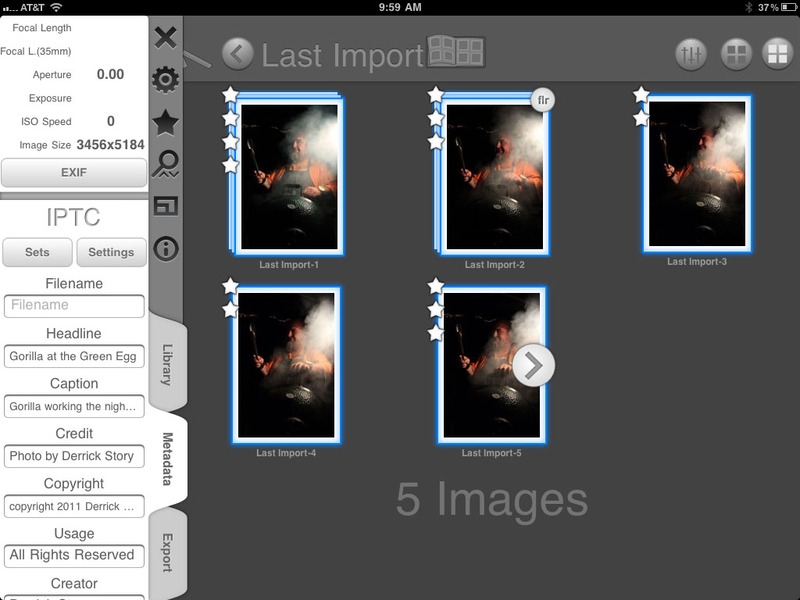 Added IPTC metadata such as copyright, caption, creator, etc. Exported favorite photo to Flickr according to my specifications. Unfortunately, Filterstorm could not provide EXIF data for my 60D Raws, other than the image size - 3456x5184. I was, however, able to add IPTC metadata to entire batch of photos at once. I could also create template sets to speed up this process in the future. Another nice touch is the ability to add a watermark. The image editing went fairly well. I actually think this is the weakest area of the application. There are no Levels controls or a histogram to work with (or if there is a histogram, I couldn't find it). There are no Shadows or Highlights controls per se. The curves function works well, but not everyone likes using curves. You do have masking controls if you want them. The Add Exposure control did not seem to work properly for me, or maybe I just didn't understand how to use it. It should be straightforward. Once I finished, my edited images were put in a stack with the original and displayed in the library. 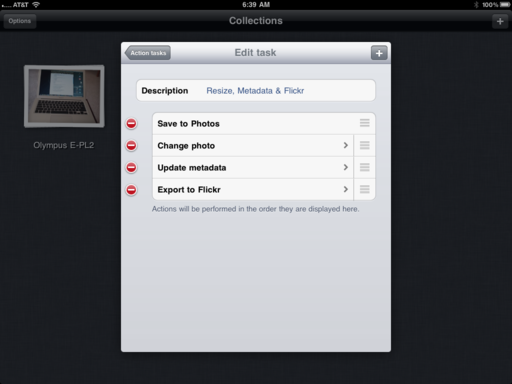 Export allowed me to send to the images to my Photos library on the iPad, email, Flickr, Dropbox, or FTP. Exporting from Filterstorm Pro went well, and the IPTC data I added traveled with the photo. In the future, I have to remember to clear the various IPTC fields, or that data will be applied to subsequent photos. 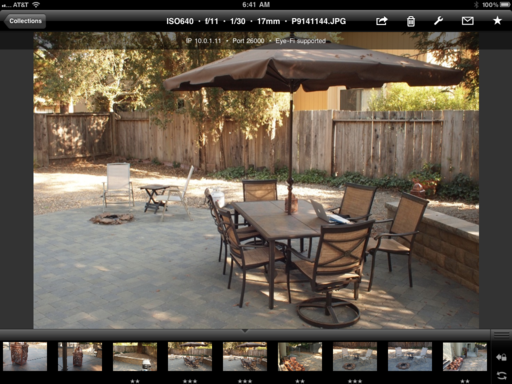 Filterstorm Pro is a breakthrough app for the iPad. For the first time, I can process and manage Raw files on a first generation iPad. Being able to add IPTC metadata is a big plus, especially coupled with the flexible export options. These features do come at a price, however. Filterstorm Pro will cost you $14.99 in the US. And I believe it could still use some improvement in the image editing functions, if it is indeed going to be your complete environment on the iPad the way Aperture or Lightroom serve us on our computers. That being said, this is a true robust nimble photographer application. Here in Northern California, I can already feel the approach of Autumn. The light changes. The air smells different. Fall color is around the corner. I've noticed that I haven't updated my library with any new Autumn shots in some time. Funny how I get busy with day-to-day tasks, and as a result, miss an entire season. So this year, I'm getting ready now to have the VW Van packed so I can leave quickly when the leaves begin to turn. If your photo library could us a little updating in this category, now's the time to make your plans. First, you need a good resource so you can track the changing of the seasons. Here, I'm using CalPhoto. 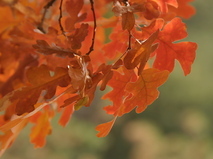 Photographer Carol Leigh will be hosting the Fall Foliage Hotsheet there. So find the resource for your area and check in regularly. Next, get your outdoor gear together. Do you have fuel for the stove? Food and cookware organized? Get this stuff ready now. It's hard enough to break away from the grind. Once you get the opportunity, be ready to go. Create open windows in your calendar. Mine tends to fill up a month or two ahead of time. So I've saved small blocks of days here and there. I might not hit the color at its prime (we need some luck for that), but I will be able to escape. Now's also a good time to let your family know that you might be gone for a day or two in October. 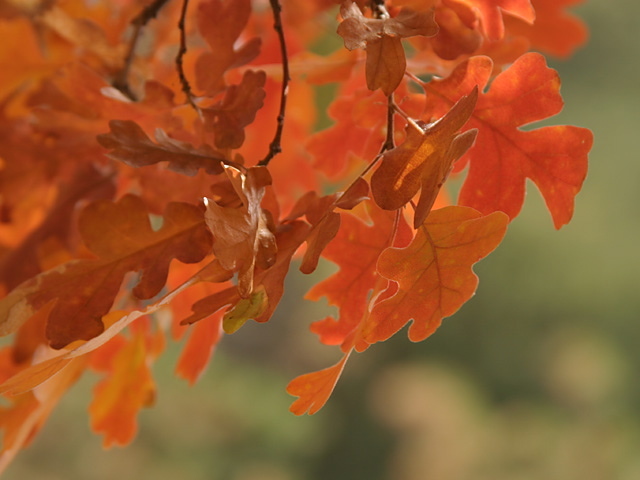 I'll talk more about fall color photographically in an upcoming post. But for now, I have to make sure I have plenty of coffee packed in the kitchen kit. An assignment that I was looking forward to this week was covering the Wine Country Big Q. 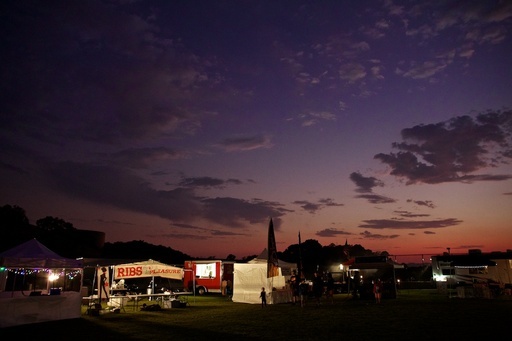 Set against the rolling hills backdrop of Sonoma County, BBQ artists from all over the country gathered to compete for prizes and bragging rights over who could prepare the most delicious pork, chicken, and brisket. If you know the world of professional BBQ, you know these events are a big deal. The night before the Wine Country Big Q. Click on image for larger size. All photos by Derrick Story. Since the event officially began on Saturday at 1pm, I was there on Friday night. It's a habit I developed back in the wedding days, and it yields rewards every time. So, as the sun was setting, I was there among the chefs and smoke and anticipation. One of the event coordinators spotted me and asked, "What are you doing here tonight? It's practically dark." Yes it is! Dr. BBQ (Ray Lampe) and Gorilla (Rich Bacchi) took time out from their work on Friday night to pose for this slash light portrait. One of my favorite moments was meeting the guys at Tex Wasabi's All-Stars. The title is fitting. The force behind Tex Wasabi is Food Network star, Guy Fieri. He's a local hero in Santa Rosa who brings it home on a regular basis. 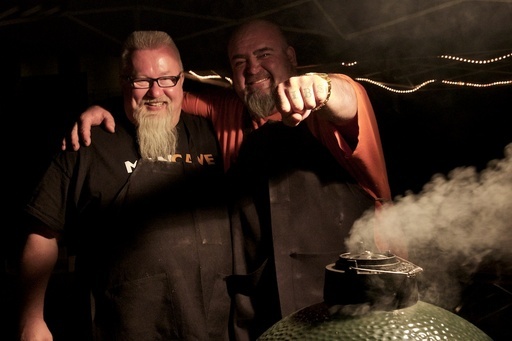 Also on the team was Dr. BBQ, Ray Lampe, who is a legend in this world. I photographed him on Friday night with "Gorilla," also known as Rich Bacchi. This was a good call, because these two guys, and the rest of the team, won the top award the following day. I made prints for Ray and Rich and brought them to the event on Saturday as a thank you for letting me photograph them. I also make the digital files available in case they need them for their own promotion. This is something I try to do with celebrities. I include my name and email on the back of each print in case they need to reach me in the future. 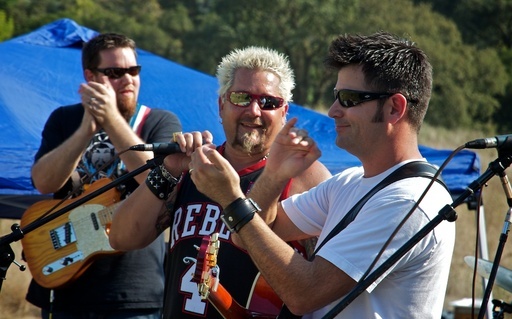 Guy Fieri joins musician Pete Stringfellow on stage during Pete's performance on Saturday afternoon. Then on Saturday afternoon, it was back to work. Guy Fieri made an appearance and hung out with his crew at Tex Wasabi. He's also friends with another local star, Pete Stringfellow, who opens for Clint Black, Randy Travis, and others. Pete's band knocked it out of the park that afternoon. 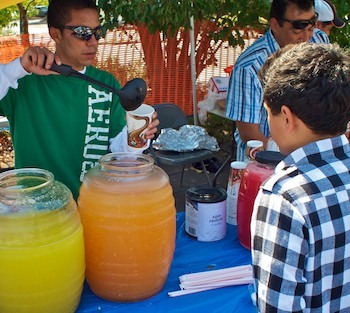 The bottom line is, as a photographer, you're going to best capture an event if you immerse yourself in it. Don't be afraid to get smoke in your eyes. Respect your subjects. And get there the night before.